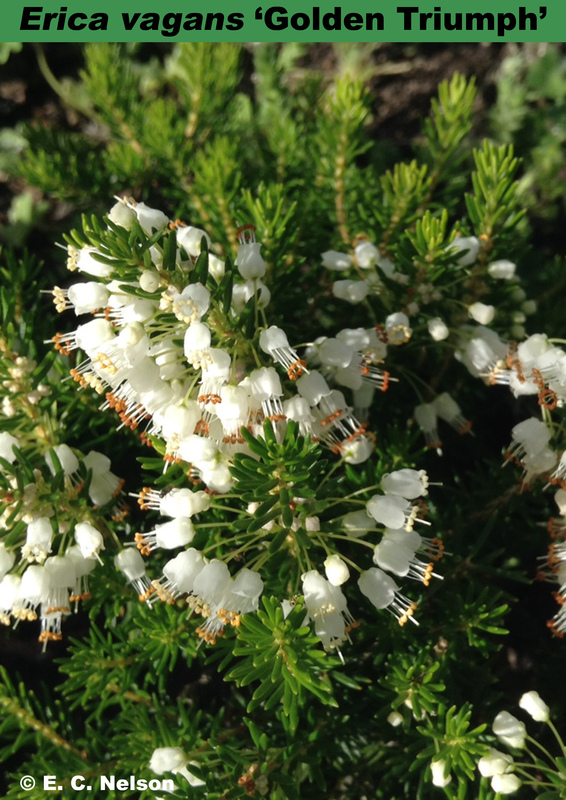 One of the purest white-flowered cultivars of the Cornish heath; the anthers emerge as pale cream and darken to tan after the pollen has been shed. A compact heather, with bright yellow shoots in springtime. One of The Heather Society's 100 recommended heathers (see Heathers 9 2012). A sport from 'Lyonesse'; found by Alan W. Newsham in 1982 at Twin Acre Nursery (Knutsford, Cheshire, England). Image courtesy of E. C. Nelson. Habit: Compact; height 31–45cm; spread 61–75cm.